Back in the 2017 version, I wrote an article on how to print money, titled How To Be Your Own Sugar Daddy. b) free agents with high value, then turning around and selling them for a much higher price. If you could abuse take advantage of the auction system to drive the price as high as possible, all the better! The auction system was removed. 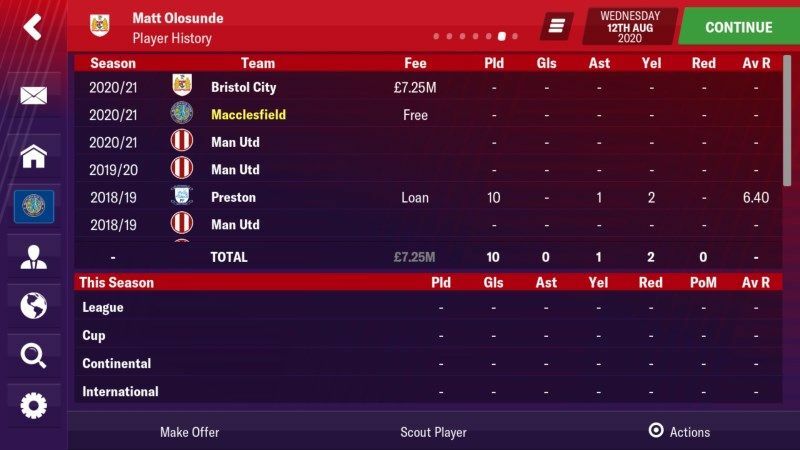 The "Offer to clubs" option actually transfer listed players, which caused chaos when used on new players / too many players. But guess what? Most of what I covered in the original article works again in FMM19. Auctions are back in FMM2019 - but don't get your hopes up. You won't get clubs bidding against themselves long after the other clubs have dropped out, driving the price up to insane levels. This year's auctions are more balanced and dare I say realistic. You can drive the price up a little, but that's it. The key though was always the ability to offer players to other clubs without them knowing being transfer listed. If you transfer list a new player, they get upset. 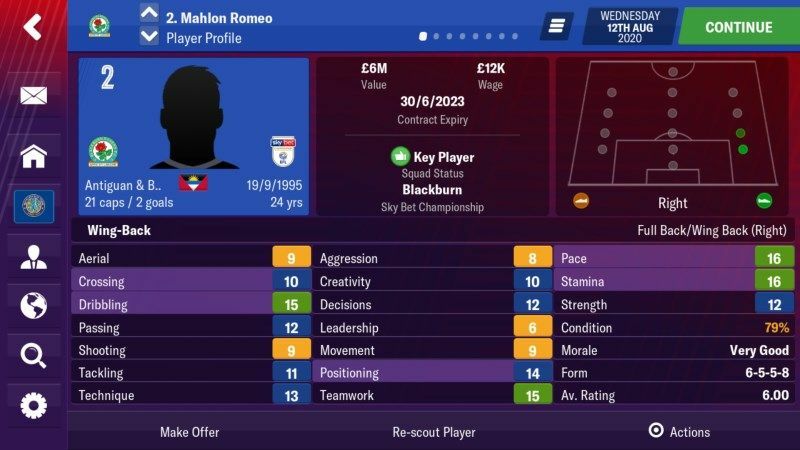 If you do it to 10 players at once, you've got a mutiny on your hands... Fortunately, FMM19 reverted to FMM17 behaviour: offering a player to other clubs does not add them to the transfer list. As mentioned in the original article, you need to find a player you can sell for more than you buy them. Good free agents fit this description to a tee, but you can also buy players on the cheap, who increase in value almost at once. In the last article I recommended buying good players from smaller clubs (where they would be undervalued) and selling them on to bigger clubs, who would pay more. This part has changed slightly in FMM19 though. Buying transfer listed players at way below their list price (seriously sometime they can be got at a fraction of it - or even free). Buying players with a release clause. Generally scouting around for players that look promising, but don't cost much. And of course, good quality free agents. You can normally sell these players for much higher than you asked for. It seems (to me) like that there are more clubs willing to buy players than ever and they don't mind paying over the odds. In the original article, I had a whole section about scale and whether it would work for clubs of all sizes. Same advice applies: your mileage may vary. 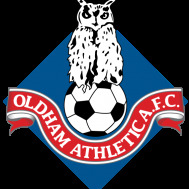 However it's working a treat for me as a small club (Macclesfield) newly arrived in the Championship. The same principles still applied down lower, but it really took off once we hit the Championship, because we could attract better players who'd fetch a decent amount. I expect it will work even better in the Premiership (let me know how it goes if you try). I'm not sure how I feel about this. It's just made FMM19 so much easier for me - but I was enjoying the challenge of it being harder and more realistic. In hindsight, I think I'd like something in the game to prevent this. 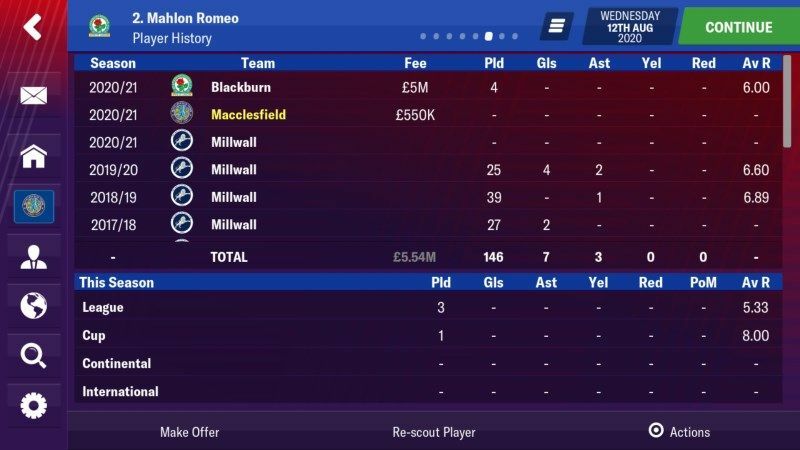 I'm NOT suggesting going back to the FMM18 behaviour of players being transfer listed when offered, but maybe some sort of behind the scenes functionality to prevent (or severely limit) any offers in the 6 months after a player signs. Great article mate. I love following this approach. 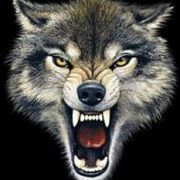 A very reliable system this but you do need to be careful of the wages you give and so on. 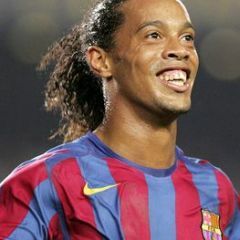 Signing young free transfers and loaning them for a few seasons can also be beneficial. My personal favourite way for yearly cash is to rotate my back up striker every season, like most my first team striker is my main man but he can't play every game so having a back up is an necessity. 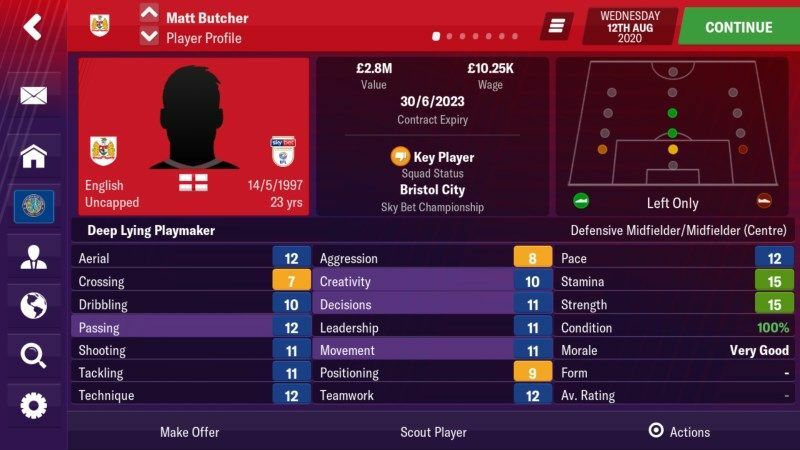 So every year I sell my back up and replace him with a free agent or a cheap transfer listed option, after a year of reputation building and goals you can usually bring in a decent fee. Tbh I do tend to rotate my back up back up options across the squad but the striker is the one I do the most. A very reliable system this but you do need to be careful of the wages you give and so on. Yeah, I had trouble in FMM18 with giving players wages that were too high and then I could never ever sell them again. So far I haven't had that problem in FMM19, but that's probably because a) my wage budget is not that big yet and b) the players I'm targeting are happy for a lower wage (I guess the ones wanting higher wages aren't Interested in me yet). Good read, Scratch, and surely helpful for many. If it makes your game too easy then simply don't use this trick. 😉 or add a new rule to existing challenges for others to counter this. Easy enough. I like to only buy players that I intend to use in my (future) squad so no extra money-making needed for this manager. Some great tips on how to play the “moneyball” way, good work @Scratch. I have mixed thoughts on that anyway. It's part of the game. When we find a tactic that works that really should we don't say "that tactic wouldn't work in real life, so we can't use it in challenges". LOL, @BatiGoal I'm just now reading your latest genius tactic! Nice one mate. Wish I could come up with tactics like that! CHEAT!!!! CHEAT!!!! CHEAT!!!! play it as it's supposed to be played, your manipulating the system!!!!!! Haha, yeah, I might have gone slightly over the top. I'm just a sucker for a good deal. January is approaching and I probably need to move on 6 or 7 players that aren't working out, but I'm a little scared to because my transfer window screenshots are already big enough to make you all shake your heads! I'm having the same thing with the board as well. L2 > L1 > Championship in consecutive seasons and they won't improve the training facilities at all. 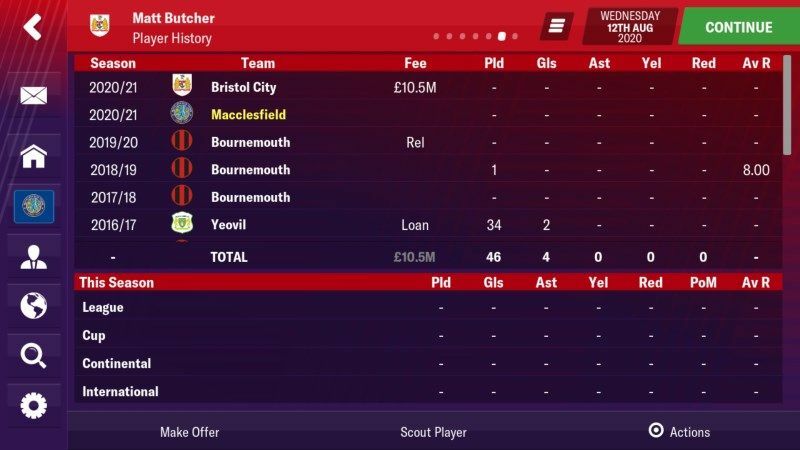 The club has had a status of rich since almost the beginning (back when I sold a few players but couldn't afford any worthwhile replacements, long before the stuff in this post). So yeah, I have money to spend now, but can't buy the top players, but I can get very good youngsters. 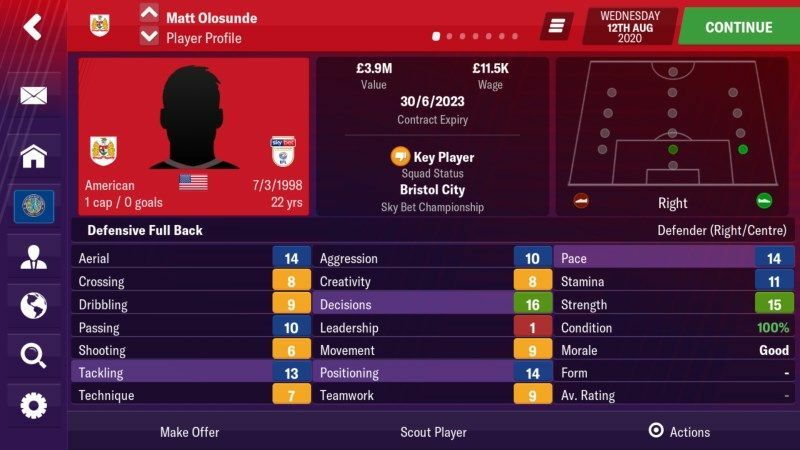 The top youngsters I bought in season 1 are topping out and will be good Championship players, but some of the ones I've bought this season are shaping as though they will be Champions League players within in a few seasons. So it's transformed the team, but only through the youngsters I can bring in. And it has to be said that 90% of the ones I try to get won't come, but the 10% who do are gonna be great! 😂 The good ol TKO (2-2-1-5) did actually have a quick go to see and it's not bad, with tweaks it'll work, but it's too crazy so not using it. I like to only buy players that I intend to use in my (future) squad so no extra money﻿-making needed for this manager. It'd be best to start a new topic to ask that as more people are likely to see it (vs adding it to this topic). Not sure I can answer it anyway. I mainly play in England where the reserves don't actually play - I know some leagues have playable reserves, but I've never used them... Sorry. in addition to these 3 players there are no others? No, there is no list and those 3 players were just examples of the things you can do. It's not about particular players - it's about the technique of signing players free/cheap and selling them straight away for a profit. The technique is outlined in the How to do it section above. Hope that helps.